Phlur, an Austin, TX-based online fragrance brand, held the first closing of a $6M Series A funding. The round, which brings total funding to $12m, is being led by Symrise, a global supplier of fragrances and flavorings behind Phlur’s Hanami, Olmsted & Vaux, Hepcat and Siano scents. In conjunction with the funding, Achim Daub, Symrise Global President of Scent & Care, will join Phlur’s board of directors alongside Tom Ball, Co-Founder and Managing Director of Next Coast Ventures, and Jennifer Olsen, the interim CMO of UNTUCKit. The company will use the funds to scale its business, diversify its marketing activities, launch new distribution channels and extend into body care. 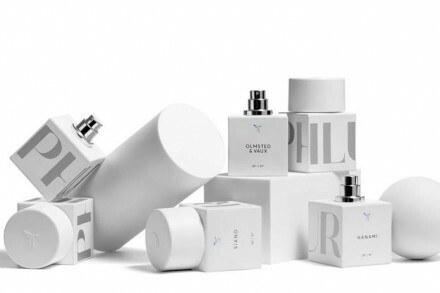 Launched in 2016 by Eric Korman, founder and CEO, Phlur is a fragrance brand offering an online discovery experience, paired with a novel at-home sampling program, in order to let customers to find fragrances. Each scent is crafted with non-toxic, sustainably sourced ingredients and specifically avoids parabens, phthalates, BHT and other preservatives. For each 50mL full bottle sold, the brand donates $5 to the International Union for the Conservation of Nature (IUCN). In 2017, the company quintupled its revenue, acquired over 35,000 paying customers, and expanded its core offering with the introduction of premium scented candles.